OTTAWA—A federally commissioned blueprint for a new watchdog to review Canada’s border agency has some worried it lacks the necessary bite to ensure true accountability. 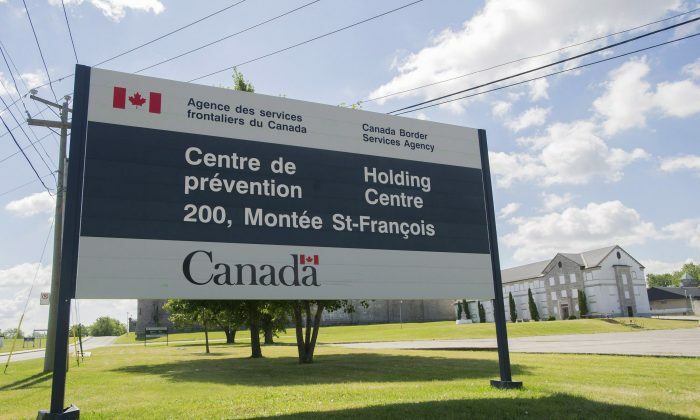 A report produced for Public Safety Canada says the government should establish an independent body to handle public complaints about the Canada Border Services Agency. The report, released under the Access to Information Act, also recommends the watchdog be able to look into trends and any systemic problems at the CBSA. The power to conduct systemic reviews would be positive, said Josh Paterson, executive director of the British Columbia Civil Liberties Association, which was consulted for the report. But the suggested complaint mechanism falls short in Paterson’s eyes because the border agency itself would first investigate any complaint. Only if that investigation fails to resolve the issue would the watchdog look into the matter. “If the federal government follows this recommendation, it would be adopting the wrong model,” Paterson said. The suggested new watchdog, the Canada Law Enforcement Review Commission, would keep an eye on both the border agency and the RCMP, given the frequent overlap between the two enforcement organizations. It would be led by a chair, have four or five commissioners, and authority to compel documents and witnesses. Initiate reviews and take direction from the minister to look into issues. Share information with other review bodies and “follow the thread” of evidence. Issue non-binding recommendations to the RCMP and border agency—leaving it up to the agency heads to decide whether and how to adopt them, in order to preserve accountability. Edmonton criminal lawyer Tom Engel balks at the idea of recommendations that could be ignored by the agencies. The border agency collects, analyzes, and distributes information concerning people and goods at border points, air terminals, and seaports. Border officers can stop travellers for questioning, take blood and breath samples, and search, detain, and arrest citizens and non-citizens without a warrant. The border agency has come under pressure in recent years to be more forthcoming about its role in immigration detention following in-custody deaths. Janet Dench, executive director of the Canadian Council for Refugees, applauded Cappe’s insistence on an independent watchdog, not an internal ombudsman. But Dench, who was also consulted for the report, said it is important to allow third parties to make complaints, as refugees and other vulnerable people are often wary of filing grievances with officials. Any review body must also be able to offer redress, she said, such as to someone who is wrongly removed from Canada due to border agency actions. Dench hopes a new watchdog materializes sooner rather than later. The government says it is working on legislation to create an “appropriate mechanism” to review CBSA officer conduct and handle complaints. Separately, it has already taken steps to bolster review of the border agency’s national security activities.